The emerging literature on the challenges of cross-disciplinary research emphasizes the critical importance of effective communication to project success, but mechanisms for developing such communication remain scarce. 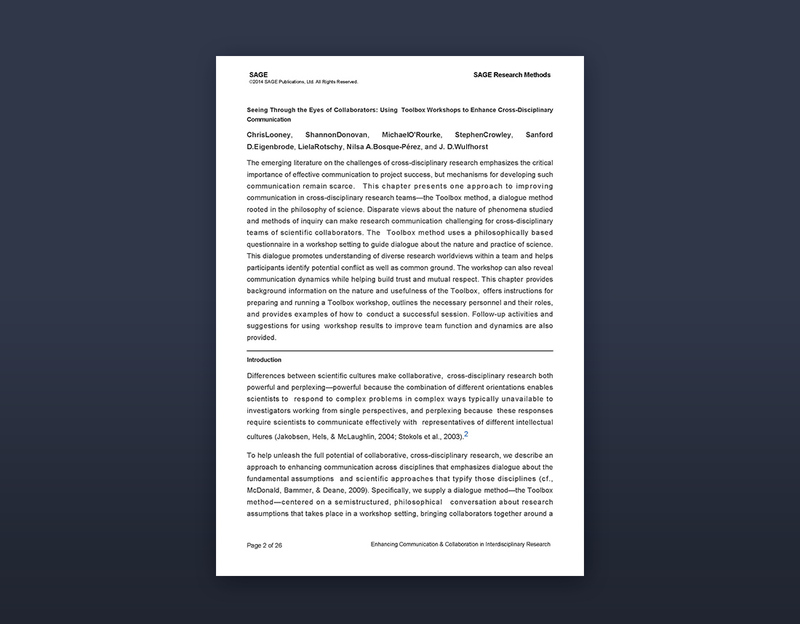 This chapter presents one approach to improving communication in cross-disciplinary research teams—the Toolbox method, a dialogue method rooted in the philosophy of science. Disparate views about the nature of phenomena studied and methods of inquiry can make research communication challenging for cross-disciplinary teams of scientific collaborators. 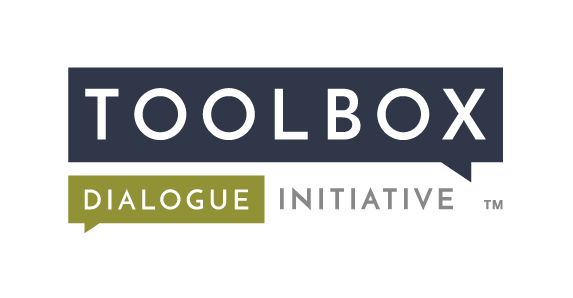 The Toolbox method uses a philosophically based questionnaire in a workshop set- ting to guide dialogue about the nature and practice of science. This dialogue promotes understanding of diverse research worldviews within a team and helps participants identify potential conflict as well as common ground. The workshop can also reveal communication dynamics while helping build trust and mutual respect. This chapter provides background information on the nature and usefulness of the Toolbox, offers instructions for preparing and running a Toolbox workshop, outlines the necessary personnel and their roles, and provides examples of how to conduct a successful session. Follow-up activities and suggestions for using workshop results to improve team function and dynamics are also provided. Looney, C., Donovan, S., O’Rourke, M., Crowley, S., Eigenbrode, S. D., Rotschy, L., Bosque-Pérez, N. A., Wulfhorst, J. D. (2013). Seeing through the eyes of collaborators: Using Toolbox workshops to enhance cross-disciplinary communication. In M. O’Rourke, S. Crowley, S. D. Eigenbrode, and J. D., Wulfhorst (eds.) Enhancing Communication and Collaboration in Interdisciplinary Research. Thousand Oaks, CA: Sage Publications.